West Sussex Fire and Rescue Service (WSFRS) has confirmed the pier fire last night (June 13) was caused by ‘discarded smoking materials’. A spokesman for the service said the investigation concluded it was accidental ignition. Six fire engines were called to the blaze on the western side of the southern pavilion just after 8.30pm yesterday. 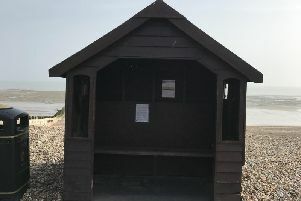 WSFRS said it was alerted by Southern Monitoring – Worthing Pier’s AFA monitoring company - as well as a member of public who reported seeing issuing from the western side. Shoreham Lifeboat Station sent out its inshore and all-weather lifeboats at 9.15pm. By the time they reached the scene the fire was out. Firefighters found a fire in an external cavity wall and extinguished the fire using two jets and the pier’s main ring.